You need to change the file name so that it creates a new file every day, or the file names contain the name of the weekday, for example Sunday_Data.txt, Monday_Data.txt and so on. 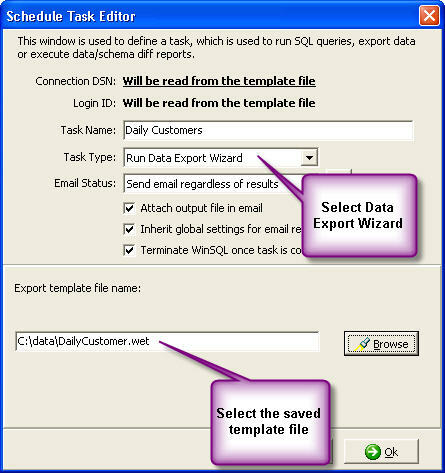 The first step is to create an export template and then running this export template using the scheduler. Following steps demonstrate how to accomplish these tasks. Next specify a file name for export. Notice the use of a variable in the file name, which is currently set to $CURRENT_DAY$. The value of this variable will be replaced by the actual name of the day at run time. 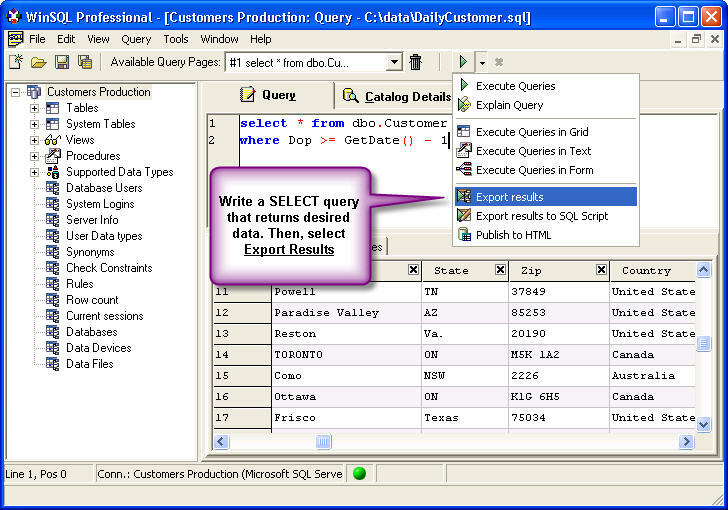 Click the Next button and specify a template file. You will have to specify this template file in the Scheduler. 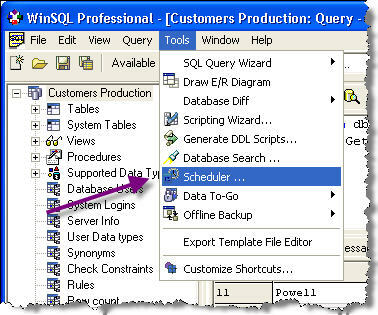 Once the export template is saved, invoke WinSQL's Scheduler wizard. 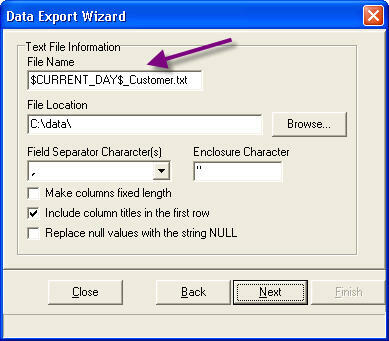 Create a new task, select Run Data Export Wizard from available task types. 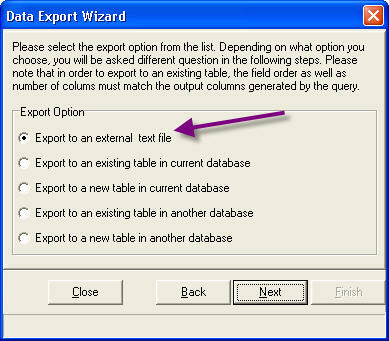 Select the export template you created in the previous steps. Once a task is created you can create a schedule to run it. This didn't work for me at all. All I get for a file name is $CURRENT_DATE$Filename.txt. Am I doing something wrong when inputting the $CURRENT_DATE$ variable?